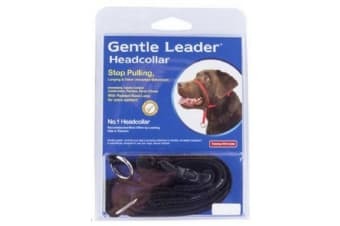 First of all, the Gentle Leader Headcollar Black is NOT a muzzle. When fitted properly, your dog is free to open his/her mouth to eat, drink, pant, fetch, bark and even bite – except when you close his/her mouth by pulling on the leash. The Gentle Leader Headcollar Black features two soft nylon straps – the collar portion fits high at the top of the neck, and the nose loop fits loosely and comfortably across the base of the muzzle. Each strap has a distinct and important effect. The Nose Loop: The Gentle Leader’s patented ‘Nose Strap’ applies gentle pressure in the same way a dog’s pack leader would grasp a sub-ordinates muzzle. Your dog learns in his own language that you are the leader. The Neckstrap: Puppies will melt in relaxation when their mother picks them up at the back of the neck. Gentle Leader uses this pressure point to work with your dog’s natural relaxation instinct. With this gentle pressure at the back of the neck the dog pulls backward not forward which corrects leash-pulling forever. Helps to discourage your dog from pulling and lunging while on a lead. Has a comfortable design which allows dog to easily open mouth, pant, drink and eat. Includes a padded nose loop for extra comfort. 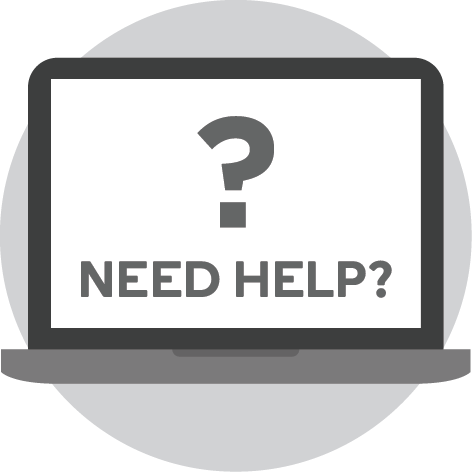 Is available in different sizes. Is available in different colours including; blue, red, fawn and purple. It is important to remember 2 important things when using the Gentle Leader Headcollar Black. NEVER keep constant tension on the lead. Releasing the tension rewards your dog for good behaviour and allows for free panting. This is especially important if your dog is stressed. NEVER jerk on the lead. Control your dog with a smooth forward and upward pull which gently applies pressure to the back of the neck – which works with your dog’s natural instincts. Small – fits dogs and puppies with adult weight of 5 to 10kgs including toy breeds and small dogs with narrow muzzles. E.g. Toy Poodle, Lhasa Apso, Dachshund, Bichon, small Sheltie, Pomeranian, Shih-tzu, Basenji, Fox Terrier, Jack Russell, Beagle. Medium – fits dogs and puppies with an adult weight of 10 to 27kg including smaller dogs with broad muzzles. E.g. Cocker Spaniel, Collie Breeds, Beagle, Airedale Terrier, Australian Shepherd, Samoyed, Norwegian Elkhound, Kelpie, Pointer, Blue Heeler. Large – fits larger dogs with an adult weight over 30kg with larger heads. E.g. Basset Hound, Golden Retriever, Labrador, German Shepherd, Doberman, Sharpei, Rottweiler, Mastiff, Old English Sheepdog, Malamute, Akita, Great Dane.